Matze: This is great already! 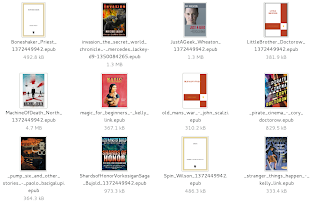 Tracker supports indexing EPub files, so you could use that to populate the view the first time it's run (and monitor it). The rest of the UI could do with being a bit more GNOME3-like, we're adding new widgets in GTK+ to that effect. I'd be happy giving some advice about making the app better if you have some time to spare. Drop by #gnome-design on GNOME IRC if you're interested. 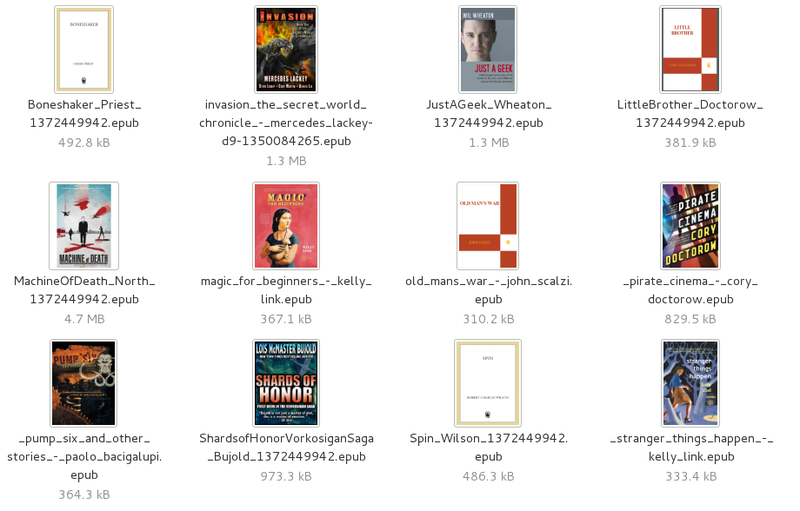 There's designs for a reader application in the GNOME Wiki.